Folks, when you join the forum, or when you get the chance to update your Profile, please be sure to put your location and interests. Filling out your signature would help as well. 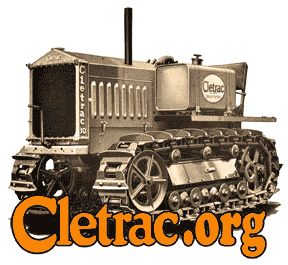 I've been getting some spammers joining and posting links to sites that are completely unrelated to Cletrac or Oliver, or anything to do with tractors. It would make it easier for me, as well as all the other members, if you guys would put your location and interest in your profile.